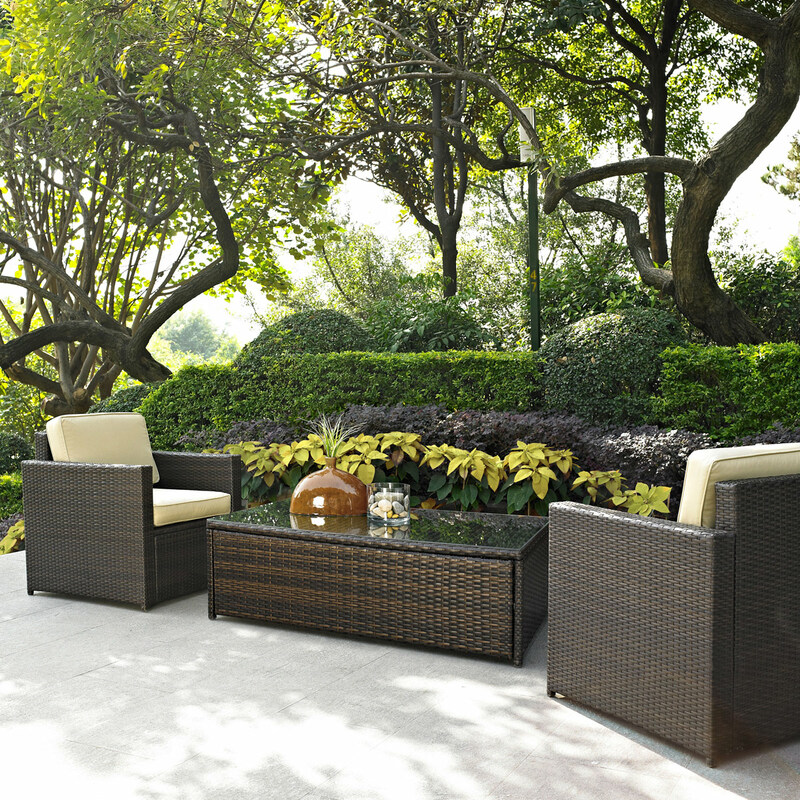 The Palm Harbor 3 Piece Outdoor Wicker Seating Set with Two Outdoor Wicker Chairs and Glass Top Table is a beautiful set for a small patio. 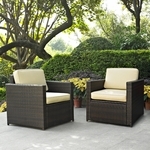 It is also a perfect starter set for furnishing a much bigger patio with all of the Palm Harbor Collection. The tinted glass table top adds a touch of elegance to the straight lines of the wicker design.These wicker look units are made of durable resin and they will not unravel. They are weather-proof and so are the cushion covers. Very comfortable.